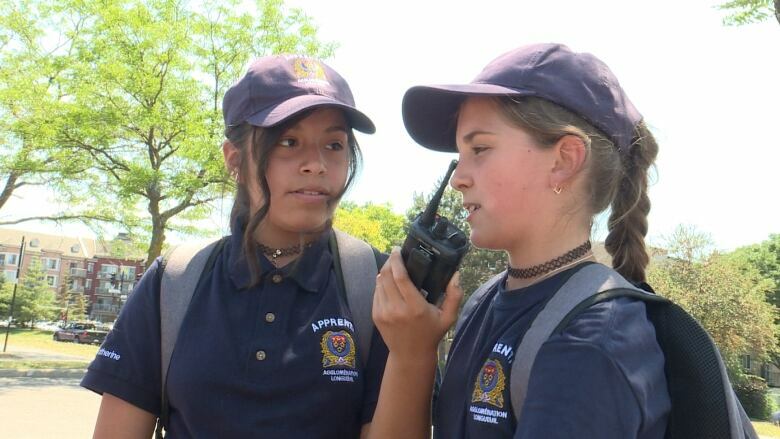 A group of 12 preteens learned about police procedures and got to test out their crime solving skills this week. Longueuil police put a round of fresh recruits to the test earlier this week, challenging them to solve a missing persons case using police techniques. 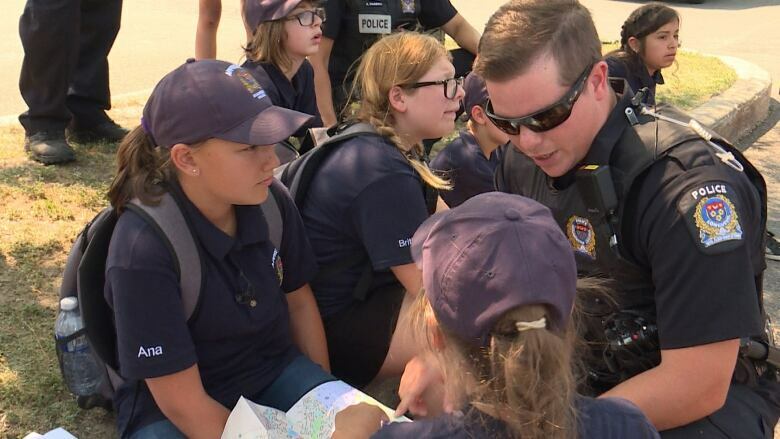 It was all part of the police service's first-ever, day camp for kids, where a select group of pre-teens were introduced to police procedures and invited to participate in a simulation. Each child was chosen on the merit of a letter they submitted to the department explaining why they wanted to take part in the activity. Ana Rubeco, 12, hopes to one day become a firefighter and wanted to get an inside look at how first responders operate. 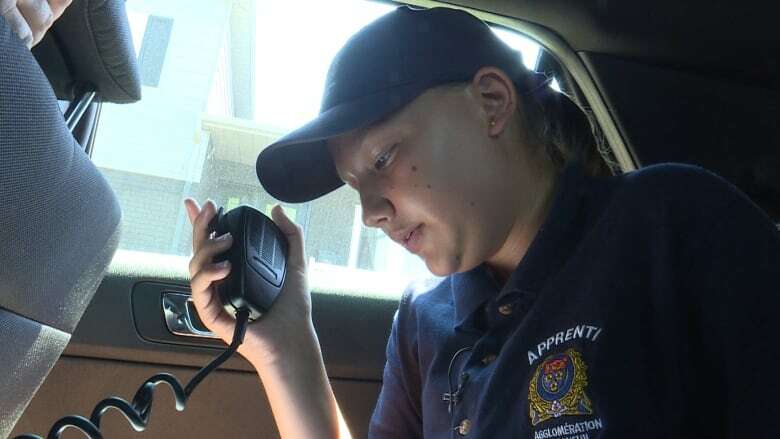 "It felt like I was a real, official police officer and it felt really, really good," she told CBC News. "I also wanted to see how all of this works." Rubeco says her parents were glad to see her take part. "They are proud of me because I decided to do this activity and not stay in my bed playing video games." The kids were tasked with locating a woman who was supposed to have gone missing from Pierre Boucher Hospital in Longueuil. They interviewed witnesses, collected evidence and went on patrol. Their veteran police comrades came away impressed. "They are only 12 years old, but maybe they've seen a lot of movies. They know our job more than we thought," said police spokesperson Ghislain Vallières. Are kids ever too young to learn about philosophy?